Many people suffer from low sodium symptoms, but may not be completely aware that their symptoms are a result of low levels of sodium within their bloodstream. The condition known as hyponatremia describes situations in which someone has an abnormally low level of sodium in their blood. Generally this situation leads to a variety of low sodium symptoms, which will be examined in detail throughout this article. 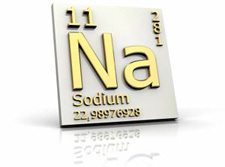 First let’s examine sodium as well as the necessity of it within our blood stream. Sodium is an extremely essential part of your daily life and most are completely unaware of this fact. Not only does sodium attempt to regulate the functions of your muscles and nerves, but it also assists with maintaining a healthy blood pressure. Sodium is found throughout a person’s body, including in the blood stream, bone, and other fluids. However, hyponatremia can also occur when someone has an excess amount of water within his or her body, which in turn dilutes the amount of sodium found within the blood. However, before delving into this situation any further, it is essential to note that having low sodium symptoms is less likely than having a high level of sodium within your bloodstream. Many people consume way too much salt, which is obviously one of the highest intakes of sodium available. However, for those that drink a ton of water and drastically limit the amount of sodium within their diet, hyponatremia can be more common than having high levels of sodium, especially if they have a history of kidney problems. In order to determine if a person has a low level of sodium, it is essential to understand low sodium symptoms. Most people with low levels tend to be easily confused and extremely lethargic with disorientation. Some people experience nausea, headaches, tiredness, seizures, and twitching of muscles. Extremely severe drops in sodium levels can be associated with causing coma or even death. Therefore, it is extremely important to seek medical attention if you experience these symptoms. Never attempt to self-diagnosis yourself and simply increase your salt intake. Professional help is also recommended and is the best solution for treating any medical concern. These low sodium symptoms can be caused by a variety of different situations. These symptoms can signify problems with a person’s heart or kidney. Furthermore, there may be an issue with liver functions and body regulation of water and sodium. However, hyponatremia can also be caused by excessive drug use or even chemotherapy. Diuretics are also frequently an issue that may result in the symptoms discussed above. Furthermore, since the condition is caused by a decrease in electrolytes, excessive vomiting may be one of the many causes in your particular situation. Anyone who drinks too much water or beer is also more likely to develop this condition than those with a proper diet and normal fluid consumption. Moreover, some cancers are likely to result in hyponatremia. As you can see, there are a wide variety of causes that can cause abnormal levels of sodium within your blood. Some of these conditions are very severe and therefore medical attention should be sought when experiencing these symptoms. In conclusion, having an abnormally low level of sodium within your blood can be a very serious problem that is caused by anything from prolonged vomiting to various types of cancer and even heart, liver, and kidney problems. The associated symptoms are not something to take lightly; therefore, anyone experiencing these symptoms should make an appointment with their doctor in order to determine the cause and effective treatment plant for your specific case.